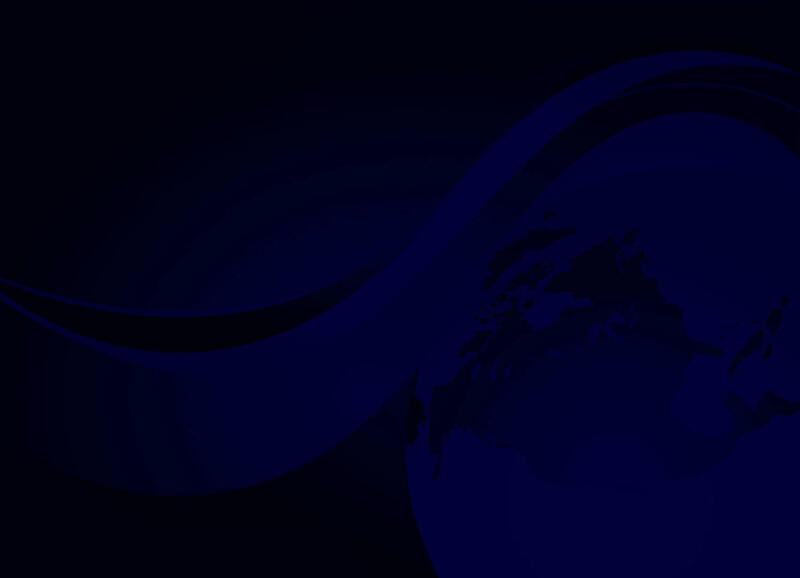 Sunreef Yachts, well known for their top quality luxury catamarans have just announced the launch of the company’s very first foiler: The 60 knot + Sunreef Yachts 40 Open Power. The ultimate Riviera style hyper speedster. Since the 40 Open Power’s first introduction at the Cannes Boat Show in 2014, the company’s design department conducted extensive engineering work and testing to optimize the concept. The day cruising luxury yacht is nothing new – but applying the catamaran platform in addition to twin foils – is revolutionary and will surely set a new benchmark for these types of yachts in the future. The obvious advantages of the catamaran are its wide beam, providing more stability and space (amazing in fact with the twin opening side doors) as well as a stunning speed. The retractable foils are an innovation first seen at Sunreef Yachts. 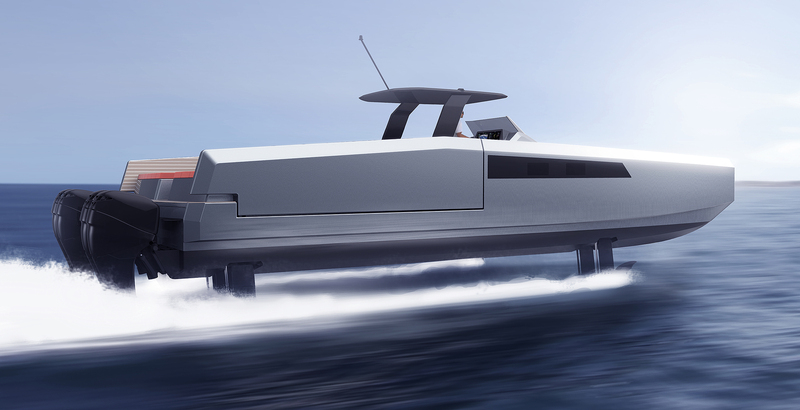 These hydrofoils permit the boat to exceed 60 knots even in choppy conditions, something that a regular displacement hull could only dream of achieving. 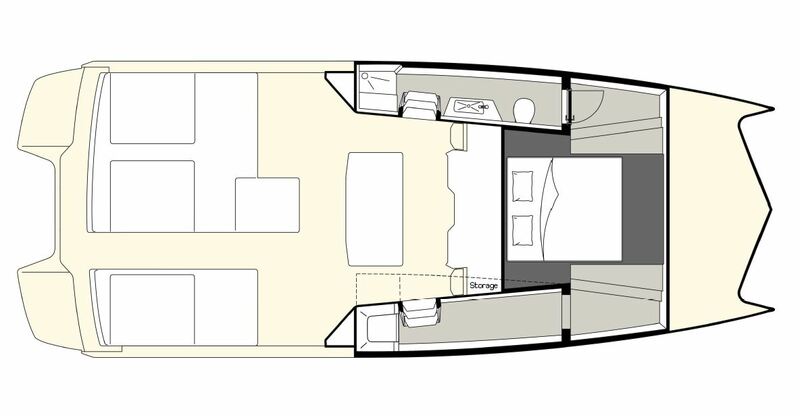 The Sunreef Yachts 40 Open Power is not for everyone. It is a head turning hyper tender of the most exquisite quality and workmanship. 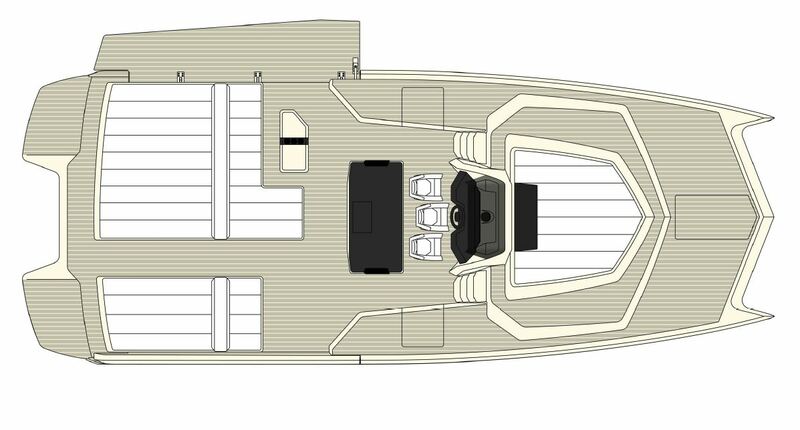 The boat can be fully customized with several engine choices, multi use volumes in the bow section as well as the hulls. From day boat to overnight cruiser – the choice is yours.